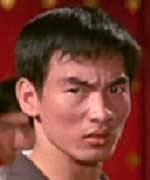 Born Ying Gang-Ming, Corey Yuen began as one of the famous "Seven Little Fortunes", the children Peking Opera troupe with the young Jackie Chan, Sammo Hung and Yuen Biao. As troupe disbanded, the youngsters became stuntmen in the studio. Yuen was gradually promoted to martial arts choreographer and worked on films like Zu : Warriors From The Magic Mountain, Dragon Lord and We're Going To Eat You. He had been working in Taiwan when producer Wu Szu-yuan offered him the directorial debut. Ninja In The Dragon's Den was nominated for Best Action Choreography at the 2nd Hong Kong Film Awards. All For The Winner, which Yuen co-directed with Jeff Lau in 1990, made a star out of Stephen Chow and went on to become the year's top grosser. Yuen co-founded Eastern Production with action star Jet Li, where they produced a series of blockbusters, including Fong Sai Yuk, The Bodyguard From Beijing and My Father Is A Hero. Yuen also garnered the Best Action Choreography kudos for Fong Sai Yuk at the 13th Hong Kong Film Awards. Yuen was invited to Hollywood in 1998, where he choreographed the action sequences in Lethal Weapon 4. He remains active in the States and performed screen magic in X-Men, Romeo Must Die, The One and Kiss Of The Dragon.